Check in at Malta International airport in the morning for your flight to Copenhagen. (with transit) Upon arrival in Copenhagen, our local representative will be waiting for you to guide you to your coach, which will transfer you to the port for check-in formalities & embarkation. 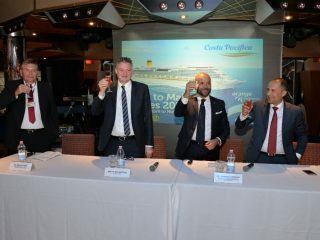 The 145,000 tonnes ship combines the most magnificent amenities Norwegian has to offer with The Waterfront, an innovative, industryfirst open-air promenade designed to connect guests with the ocean like no other cruise line. Enjoy beaches and a laid-back vibe in Warnemunde, the quaint seaside resort set where the Warnow River meets the Baltic. It is also your gateway to Northern Germany’s countryside and medieval towns. 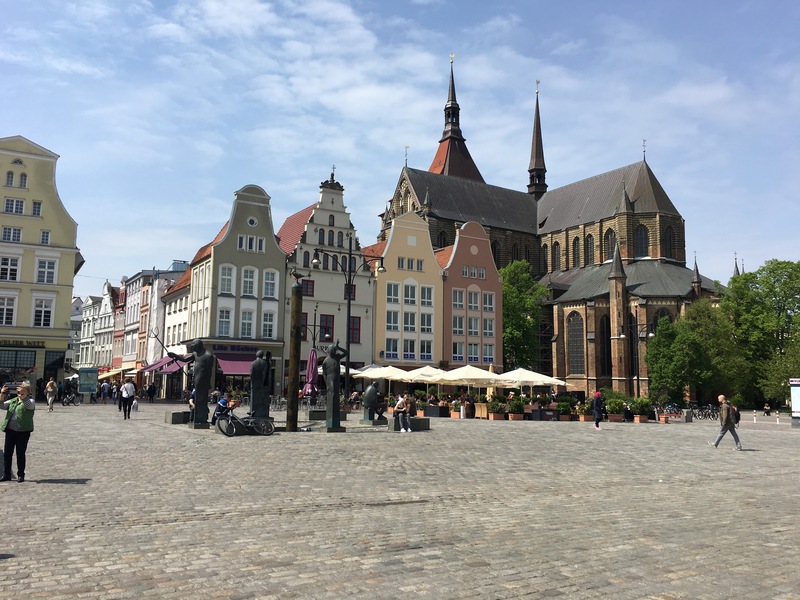 Journey back in time and discover the highlights of the Hanseatic City of Rostock and take a relaxing criuse along Warnow River. On the Norwegian Getaway, you can indulge in more than 28 dining options, experience the thrill of five water slides, and three levels of action-packed activities in the sports complex. The excitement and entertainment continues with lllusionarium, a surreal magical experience and Broadway musical Million Dollar Quartet. This evening you will arrive in St. Petersburg, surely one of the highlights of this cruise! The ship shall berth in this wonderful city overnight and shall depart tomorrow evening. (Important note – All clients who wish to disembark and explore the city on their own, must obtain an entry visa for Russia from the Russian Embassy or else must join one of the ship’s excursions) St. Petersburg is rich in cultural heritage and a masterpiece of architecture that embodies the soul of Imperial Russia. Elegant façades, glorious cathedrals and grand residences were built along the city’s canals. An incredible day in St. Petersburg! After breakfast, you may opt to visit Petrodvorets (Peterhof), the town of palaces, fountains and parks which was the most brilliant of all the summer residences of the Russian Tsars. It was conceived by Peter the Great to rival Versailles in splendor and indeed, one could spend the whole day enjoying the extravaganza of the fountain display. You can also visit The Hermitage Museum, one of the world’s greatest treasures that feature more than 3 million exhibits. The bulk of the collection is housed in the impressive Winter Palace, the former home of the Tsars and one of the focal points of the 1917 revolution. Stroll along Nevsky Prospekt, the city’s main street for shopping and restaurants. Across the Neva River one finds the Peter and Paul Fortress, one of the first buildings constructed in the city. The capital of Estonia impresses cruise guests with its mix of medieval houses and very modern boutiques and café culture. After a sumptuous breakfast, we suggest you explore the heart of the city including Toompea Castle, now home for the Estonian Parliament and the lovely Russian Orthodox Alexander Nevski Cathedral passing through various medieval cobbled streets. Move up a couple of centuries to experience Tsar Peter I’s Kadriorg Palace, filled with art and surrounded by sculpted gardens and peaceful woodlands. Welcome to Scandinavia’s “White City of the North,” a city defined more by its people and Art Nouveau architecture than its chilly climate (from October to April). Helsinki is a classic sea-city, with a dramatic coastline colored by bays and inlets. The city keeps its historical roots intact, perched above the square’s wide steps, you can see the domed Lutheran Cathedral. Designed by Carl Ludwig Engel, the square is surrounded by the University, State Council Building and Cathedral. You may continue your exploration passing onto Mannerheim Street, the main thoroughfare of the city, the Parliament House, National Museum and the Finlandia Hall. A visit to Sweden’s capital is a must. Laced by an ingenious network of waterways – part of it built on 14 islands and bridges strung between a freshwater lake and the sea, Stockholm is easily seen on foot or by waterway cruise. Its gabled old townhouses peer over cobblestone streets, whilst its magnificent 17th-century palace sits watching over the harbor. It has been likened to Venice, due to its location by the sea, its waterways and bridges. It is dotted with parkland and refined architecture with painted rooftops. The Old Town, with its cobblestone streets, evokes memories of the 18th Century. Don’t miss out to shop for some variety namebrand & the duty-free shopping. Indulge in more than 25 dining experiences, including three new, dedicated seafood venues. Enjoy dazzling performances - Burn the Floor, Escape the Big Top and Cirque Dreams & Steam. Norwegian Getaway combines the best of New York City with the most magnificent amenities at sea. Being the last night of your cruise, you will be instructed to leave your luggage outside your stateroom by midnight, as bags are transported ashore by the NCL personnel early next morning. The capital of Denmark, Copenhagen, is filled with canals, cobbled squares and copper spires. But don’t let the historic appearance fool you. This is also Scandinavia’s most cosmopolitan city. You will disembark the ship, collect the luggage from the terminal and be transferred to Copenhagen airport for your return flight (with transit) to Malta.